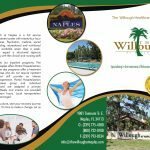 The Willough at Naples offers treatment programs which address substance abuse addictions with co-occurring behavioral disorders (dual diagnosis), for adults that are 18 years of age or older. Our services are closely monitored and managed by a skilled team of physicians, nurses, and counselors, assigned in teams to each of our patients, for a length of time that may differ based on the patient’s need. Once a patient’s stay is complete, their doctor and treatment team determine long-term recovery goals and educate the patient on how to achieve them. Provides intensive treatment for individuals dealing with medical, emotional, and psychiatric issues in a safe and secure setting. Our dual diagnosis program uses a multi-disciplinary approach to treat a mental health diagnosis while addressing substance abuse issues. An intensive program in an outpatient setting for patients with or without a co-occurring substance abuse issues, which can be used as a “step down” from an inpatient program or as a less restrictive option. Family members, physicians, clinicians, community agencies, ministers, and the judicial system can make referrals. Self-referrals are always welcome. Simply call our admissions office at (800) 722-0100, 24 hours a day, 7 days a week, and one of our admissions counselors will be glad to discuss your programs and answer your questions. For more about the admissions process, see our Admissions Information page.